Today I want to introduce you to another great punch, which also happens to be on sale as part of the Online Extravaganza.The Blossom Builder Punch. 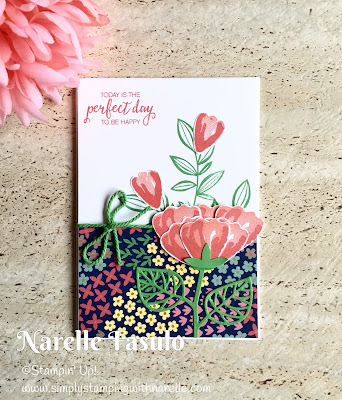 Here is a card I made with it. There are so many possibilities with this punch. I have only just scratched the surface. 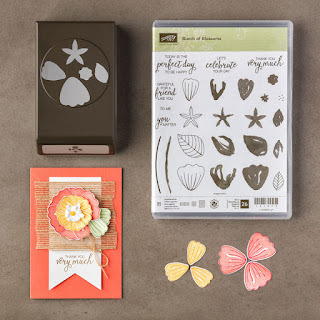 It is also available as a bundle with the Bunch of Blossoms stamp set. I have used this bundle quite a few times now and have fallen in love with it. As I said earlier, this punch is on sale now during the Online Extravaganza. And if you are a punch lover, check out all the other punches that are on sale as well.